Manufacturing continues to be a stalwart among U.S. industries — the industry provided more than 12 million full-time positions and represented about $6 trillion in nominal gross domestic output during the first quarter of 2017. Yes, many sectors of U.S. manufacturing have taken their hits over the years, but by-and-large it continues to be resilient, managing through by incorporating new methods and technologies while navigating through the related challenges. Currently, several tech-related advancements, which include the Industrial Internet of Things (IIoT), robotics, and 3D printing, are delivering efficiencies and new opportunities in the way manufacturers approach developing products, managing new operations, and serving customers. At the same time, manufacturers are facing emerging challenges, such as how to manage through legacy systems, finding and keeping viable workforce talent, and how to handle large volumes of data appropriately and effectively. All of these issues subsequently impact key operational areas and the effectiveness with which manufacturers can take advantage of technology trends. 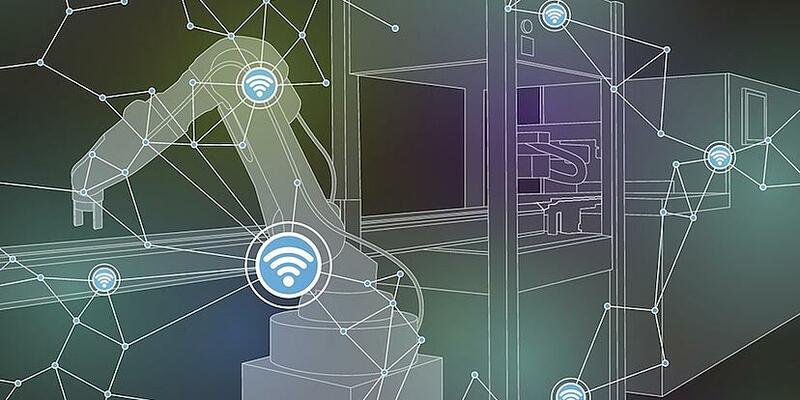 Made possible by the availability of low-cost sensors and more advanced connectivity, the IIoT continues to make great strides in manufacturing. In fact, manufacturers are expected to invest $267 billion in IIoT technologies by the year 2020. Because the IIoT can connect devices, systems, and software across operations in a logical and efficient manner, it enables manufacturers to get all of the information they need to make decisions in real time. Its functionality can convert data into different units of measure, communicate with other machines, log stats and even manage equipment or production lines if safety or performance problems surface. IIoT functionality can also track quotas, determine predictive maintenance intervals for equipment and enable analyses of product usage that can better inform future product and service development. While they’ve played a role in manufacturing for decades, robotics and automation will play an even more influential role in the future. In fact, the Boston Consulting Group estimates that global spending on robotics is expected to reach $67 billion by 2025, $24.4 billion of which will be in the industrial sector. This automation will help manufacturers achieve new levels of precision, productivity, and safety beyond the ability of humans, particularly in hazardous environments. And because programming industrial robots continues to become easier, especially with the incorporation of capabilities such as voice and image recognition, these robots have the capabilities to duplicate more complex human tasks with better consistency than ever before. Robots are hard at work in a wide variety of industries, from healthcare and food manufacturing to automotive and consumer goods manufacturing, working right alongside humans to execute sometimes very complex tasks with a high level of precision. Robots are especially valuable in industries that handle hazardous materials, in situations where safety is a concern, in facilities that require clean rooms (like pharmaceutical plants), and in lights-out facilities that operate 24/7. Will robots eventually take over everyone’s manufacturing jobs? To the extent they can eliminate humdrum tasks and jobs, the answer is a qualified yes. However, they will also create new and different jobs—close to 15 million over the next decade according to Forrester Research estimates. Someone still has to program, monitor, and maintain those robots, after all. A variety of new tools are enabling manufacturers to develop and test different scenarios related to product design, assembly line setups and the like before physical products are developed. These tools simulate the product creation phase, helping to expedite problem-solving, reduce the time to manufacturing and ensure the process delivers exactly what the manufacturer intended to create. In addition to product development, the technology is also being used for inventory tracking, worker training, and to deliver a variety of useful data that can be used to gain insight into the company’s overall operational efficiency. 3D printing, which can facilitate the seamless creation of products using a single machine, is also putting a stamp on manufacturing. It’s quickly being recognized as an option for manufacturers to save time and budget during the product development process — especially when it comes to making prototypes — which can reduce new product investment and help deliver those products more quickly to market. While the technology still has a way to go before it can provide much broader usage applications, meaningful implications for higher-volume production are anticipated across products ranging from toys to medical devices. With the IIoT comes a huge volume of data. And if it’s to become the backbone of manufacturing businesses, companies will need to determine how to manage the huge volume of data that’s available from all the sensors, equipment and platforms. A key element of that is deciding what type and kind of data to track among the plethora of information that can be generated. Trying to track too much information or keeping track of data just because it’s available only detracts from the point of using the technologies in the first place. Manufacturers need to determine what data will inform and can help develop actionable steps to improve processes and production and, subsequently, how to share relevant information via dashboards and other forms across the enterprise. Just as the IIoT, automation and other technologies are transforming manufacturing processes, inbound marketing is continuing to change how manufacturers are finding and nurturing new business to help them grow. While the “old school” tactics like trade ads, trade shows and direct mail haven’t completely gone away, they are much less effective as the majority of buyer’s start their journey by doing research online. As such Inbound marketing helps draw prospective customers to your products or services through original content, social media, and search engine optimization. It’s different from traditional marketing techniques, in that it focuses on attracting customers through content and interactions that are relevant and helpful and address their specific problems, needs, and pain points. Over time, inbound marketing helps cultivate relationships with prospects by fostering meaningful dialogue, and positions manufacturers as a valuable resource, rather than just another possible supplier. Discover now how inbound can transform how you grow your manufacturing operation — simply download our Inbound Marketing Guide for Industrial Manufacturers. 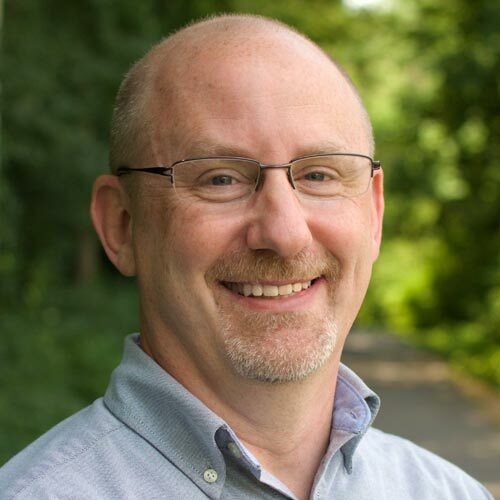 Tim has vast experience executing B2B marketing plans in a number of industries, including manufacturing, health products, and business technologies. He manages the mechanics of our clients' inbound marketing programs, including marketing automation setup, email marketing, and digital content creation.